Public support for marijuana is growing. Will lawmakers follow? Marijuana legalization advocates scored two victories this week, as a Senate Democrat came out in favor of legalization and Missouri moved closer to joining the growing number of states that decriminalize recreational or medicinal pot. On Tuesday, Sen. Dianne Feinstein, D-Calif., said she was dropping her opposition to legalizing recreational marijuana — a significant win for advocates in a state at the forefront of the legalization movement. And the Missouri House advanced a bill that would legalize medical marijuana for residents over 18, with certain conditions. Federally, pot remains illegal and is classified as a Schedule I drug, alongside substances like heroin and LSD. 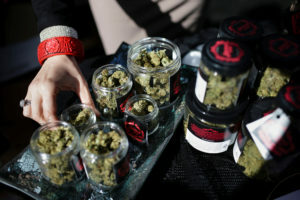 But growing public support for legalization is placing new pressure on legislators to back legalization laws, said Keith Stroup, a founder of the National Organization for the Reform of Marijuana Laws, or NORML, a leading marijuana advocacy group. “Realistically what you are seeing is a reflection of higher polling numbers that marijuana legislation has been getting over the last 5 years,” Stroup said in an interview Thursday. Opponents of legalization argue that campaign contributions are behind the surge in pro-pot support. Growing public support for marijuana legalization is placing new pressure on legislators to back legalization laws. Here’s a look at where the debate stands. Feinstein, the top Democrat on the Senate Judiciary Committee, waded into the debate in an interview with McClatchy, arguing that the federal government should not interfere with California’s pot laws. Voters approved Proposition 64, a ballot referendum to legalize recreational marijuana, in 2016 and the state law took effect at the start of this year. “Federal law enforcement agents should not arrest Californians who are adhering to California law,” Feinstein told McClatchy. Feinstein had been a longtime adversary of full legalization, though she supported medical marijuana use. As recently as July 2016, Feinstein opposed Proposition 64, arguing the measure lacked enough protections for children and motorists. Now Feinstein is running for her fifth full term and is facing a primary challenge from Kevin de Leon, a progressive state senator. Feinstein said her reversal came after meeting with constituents. 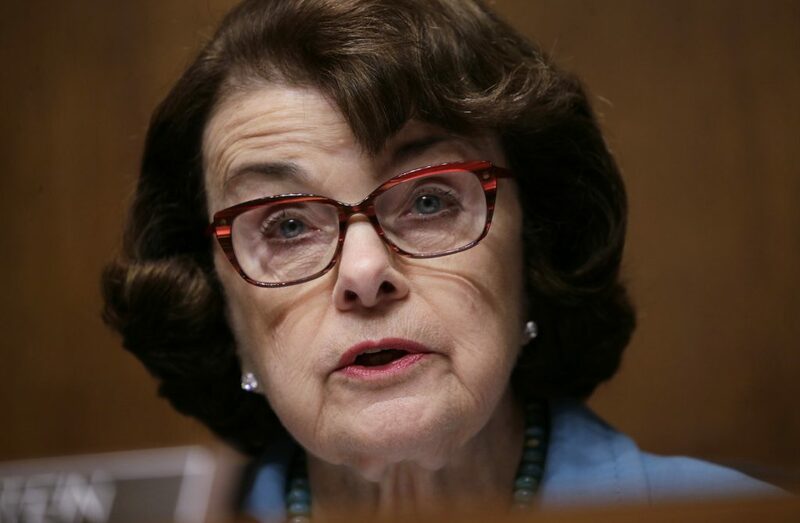 “My state has legalized marijuana for personal use, and as California continues to implement this law, we need to ensure we have strong safety rules to prevent impaired driving and youth access, similar to other public health issues like alcohol,” Feinstein told McClatchy. The California Democrat’s comments came the say day as the Republican-controlled Missouri House passed a bill to legalize medical marijuana. Lawmakers there are rushing to legalize medical pot through the legislature before grassroot groups gather enough signatures to pose the questions as a ballot initiative during the midterm election. The bill’s sponsor, GOP state Rep. Jim Neely, a physician, told the St. Louis Post Dispatch the measure was intended to help people in pain who are about to die. “This is the right thing to do for Missouri,” Neely told the St. Louis Post-Dispatch. The bill, approved in a 112-44 vote, makes medical marijuana use legal for people who are 18 and over and have “debilitating diseases or conditions,” like Alzheimer’s, cancer, and post-traumatic stress disorder, among others. Opponents have argued it would give children access to pot, along with adults who might carry concealed weapons. The bill now moves to the state senate. If it passes, Missouri would become the 31st state in the U.S. to legalize medical marijuana. Still, a majority of Americans support legalizing pot — and the numbers continue to grow. A Quinnipiac University poll released last month found that 63 percent of American voters support full legalization, and 93 percent support legalizing medical pot. That’s a slight increase from a Pew Research poll from January, which found that 61 percent of voters support legalization. Those numbers stand in stark contrast to public opinion in 2000, when only 31 percent of Americans favored making pot legal, according to Pew. In recent years, more and more states are passing “comprehensive marijuana programs,” said Karmen Hanson, a cannabis policy analyst with the National Conference of State Legislatures. said. The movement has “been building” steadily, she added. Today, medical marijuana is legal in 30 states, as well as in the District of Columbia, Guam and Puerto Rico. Another 16 states have more narrowly approved products with low levels of tetrahydrocannabinol — or THC, the chemical in pot that produces a high — for limited medical reasons, or as a specific legal defense for those arrested or charged for using approved marijuana products. Idaho, South Dakota, Nebraska and Kansas are the only states without some sort of legalized pot law. As of last month, lawmakers in at least 21 states had introduced legislation for recreational use. And 14 states are weighing medical pot proposals. Additionally, recreational pot is legal in nine states and Washington, D.C. This year, Vermont became the first state to legalize pot recreationally by way of its state legislature. Marijuana advocates like Stroup said Vermont’s move created a new playing field for recreational pot legislation. More states could join Vermont this year. As of last month, Hanson said lawmakers in at least 21 states had introduced legislation for recreational use. And 14 states are weighing medical pot proposals. Several of those bills have already died this year. But at least four states could vote on ballot initiatives for some form of legalization in the 2018 midterm elections. In states like Maryland, Georgia and Nebraska, constituents would only get to vote on such measures if the question is approved first by the legislature. Andrew Acosta, a campaign consultant who worked to block California’s Proposition 64, warned that legalizing pot through ballot initiatives and not the legislature could produce a slew of unintended consequences. For its part, the federal government remains opposed to state efforts to legalize pot. In January, Attorney General Jeff Sessions rescinded guidelines from the Obama administration that allowed states to legalize marijuana with minimal intervention from the federal government. 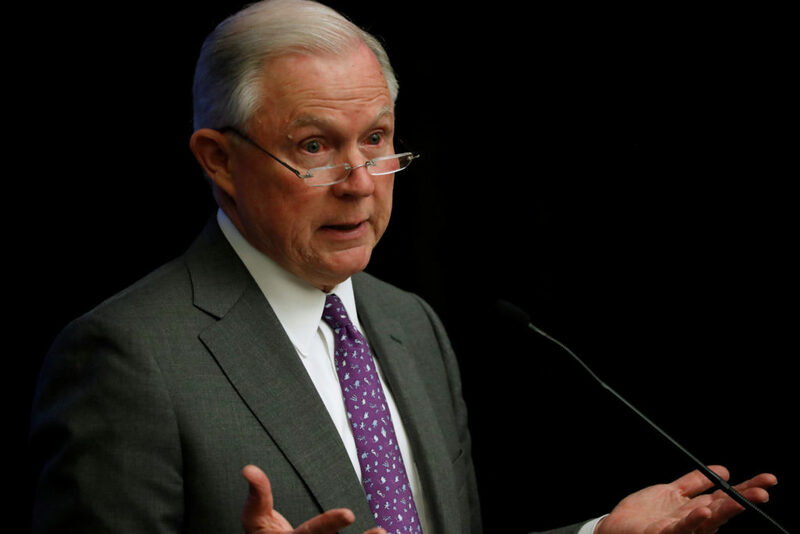 “We need grown-ups in charge in Washington to say marijuana is not the kind of thing that ought to be legalized,” Sessions said at the time. There’s new momentum in the House and Senate to open up research and protect states that have passed laws legalizing recreational or medical pot. Last month, Rep. Matt Gaetz, R-Fla., introduced a measure to break down existing barriers for researching medical marijuana. Also in April, Sens. Orrin Hatch, R-Utah, and Kamala Harris, D-Calif., called on the Justice Department to stop blocking medical marijuana research, saying other government entities — like the Food and Drug Administration and the Centers for Disease Control and Prevention, among others — have supported that kind of research, too. Meanwhile, Sen. Cory Gardner, R- Colo., is behind bipartisan legislation that would clarify states’ rights to create their own marijuana laws without interference from the federal government. Gardner had threatened to block President Donald Trump’s nominees for the Justice Department until Sessions agreed to back off his decision rescinding the Obama-era rules protecting state marijuana laws. Recreational pot has been legal in Colorado since 2014. Last month, Gardner said he received an assurance from Trump that states would be left alone. Senate Minority Leader Chuck Schumer, D-N.Y., has teased legislation to decriminalize marijuana federally and remove it from the list of scheduled substances. Though Schumer initially said he would introduce the bill on April 20, the pro-marijuana movement’s unofficial holiday, he is still planning to introduce it, according to his office. “If smoking marijuana doesn’t hurt anybody else, why shouldn’t we allow people to do it and not make it criminal?” Schumer told Vice News. But not all of the Senate is on board. Sen. Ted Cruz, R-Texas, told reporters Tuesday that he opposed drug legalization in general and would vote against legalizing pot. “I think drug legalization ends up harming people. I think it particularly hurts young people. It traps them in addiction,” Cruz said at an event in San Antonio, according to the Texas Tribune.